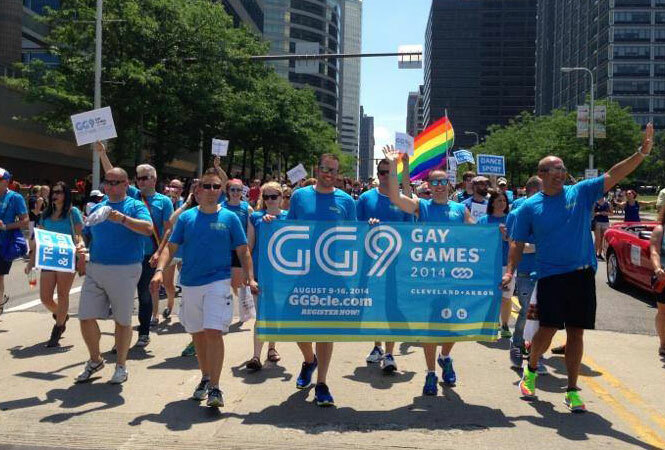 Gay Games 9 organizers march in June's Cleveland Pride parade. CLEVELAND, Ohio – The 2014 Gay Games, which attracted nearly 8,000 athletes to Northeast Ohio in August, added $52 million to the local economy during the eight-day event, according to a new study by two economics professors at Kent State University. Thomas Nobbe, the Cleveland-based director of Gay Games 9, said the typical demographic of a Gay Games participant – age 35 to 55, with discretionary income to spare – suggested that the economic impact would be substantial.